Colleen Reynolds (Non-Attorney) is the director of government affairs at DSD Advisors, LLC. 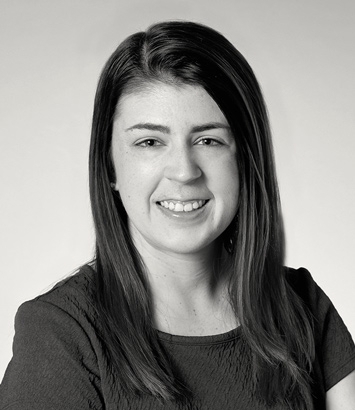 Colleen is the director of government affairs at DSD Advisors, LLC, the government relations consulting affiliate of the firm that partners with public, private and nonprofit clients to achieve their public policy goals at the local, state and federal levels. She is responsible for advocacy and communications strategy development and execution on behalf of all DSD clients. Before joining DSD Advisors, she served as director of communications & community affairs for Cincinnati City Council member P.G. Sittenfeld. Her experience includes shaping and guiding the city’s $1.5 million annual budget, managing constituent services and internal stakeholder relationships, directing both internal and external communications, and advising on legislative policy and issue management. She also created, executed and oversaw office initiatives that received national recognition, including a Harvard Business School case study detailing her work addressing the opioid epidemic. She also spoke at the White House during the Obama administration about her work addressing gender-based violence on college campuses and in the community. Colleen holds an Honors B.A. in the Philosophy, Politics and the Public Program from Xavier University, where she served as student body president. She also holds a B.A. in Theology with minors in History and Peace Studies. She is active in the community, servings as board member to the Oakley Community Council, Talbert House and the Xavier University Dorothy Day Center for Faith and Justice. She is an elected precinct executive for the Hamilton County Democratic Central Committee.